Hello, welcome to Lower School Science classes at New Vistas School. 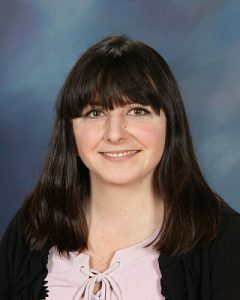 I am Ms. Kerr, and I teach the Lower School Science classes which include the 3-8th grade science classes in Physical Science, life Science, and General science. In addition, I am co-teaching with Mrs. Humphrey in the 9th grade Earth Science class. On Monday’s- Wednesdays I teach the Middle School health classes, as well. I am local to Lynchburg and went through Campbell County Schools and attended Liberty University where I majored in special education with a concentration in science. I enjoy blogging, writing, and outdoor activities such as hiking and gardening. I am so excited to be teaching here at New Vistas School with my students. We are working on doing some exciting things in the science lab this year! I feel so lucky getting to work with such a dynamic staff and such terrific students. I get to show exciting science topics through hands on building of models, drawing/coloring pictures, singing songs, and completing scavenger hunts. Physical Science: This is a one year science course where we are going to be learning about topics including atoms, sound waves, electricity and magnetism. This course introduces students to the basics of physics and chemistry. Life Science: This is a one year science course and we are going to be learning about topics including cells, ecosystems, and the environment. This course introduces students to the topics relating the study of living things and gives students an introduction to biology. Elementary Science: This year we will be studying topics including sound, light, and the environment. This is a general science course which exposes students to all areas of science in preparation for more specialized study of science areas in middle and high school.